Winston Churchill once famously said, “I never worry about action, but only inaction”. It is a sentiment that seems to have been shared by Marthe Cohn, who risked her life to act as a spy for the allies in Nazi Germany. Indeed, it is not the only thing that she has in common with Winston Churchill. Now 98, she has amassed a plethora of medals, including the Croix De Guerre, a commendation for bravery in wartime and the Medaille Militaire, France’s most prestigious military honour, both of which she and Churchill were awarded. Born in Metz, France in 1920, she and her family were relocated to Poitier in 1939. Marthe was one of seven children in a close-knit family. Her grandfather had been the devout and highly respected rabbi of the Orthodox shul in Metz. In 1940, the Germans invaded Poitier and on 17 June 1942, a date which is forever etched in Marthe’s mind, one of her adored sisters was arrested by the Germans. She and her sister had been collaborating with a local French non-Jewish farmer. Hundreds of people would knock on Marthe’s family home on a daily basis with entreaties for help. For various reasons, these people were at risk of being killed if they were discovered to be in Nazi-occupied France. Many of them were American or English pilots for example, whose planes had been shot down by Nazi warfare, or prisoners of war who had somehow managed to escape. The vast majority of those seeking aid did not speak French and would have immediately come under suspicion by the Gestapo. Marthe and her sister would direct those in need of an escape route to the home of the farmer with whom they were acquainted. His property was strategically situated partially in occupied France and partially in non-occupied France. It provided an ideal means of averting the enemy. However, one of the escapees had unwittingly left a voucher in Marthe’s home and her sister sent it by letter to the farmer in order to return it to its rightful owner. Accidentally, she had forgotten the golden rule that all letters to the farmer’s home should have been signed using a pseudonym. Her mistake was to cost her dearly and she was imprisoned due to her lack of cooperation with the Nazis who had intercepted her missive. She steadfastly refused to divulge the name of the farmer who had been saving hundreds of lives. Due to her piety and loyalty, the farmer’s identity remained hidden from the Germans. He survived the war and was awarded the approbation of “Righteous Among the Nations” by Yad Vashem. Devastated by her sister’s eventual incarceration in a camp, Marthe devised a plan of escape. However, her sister was adamant that she would not forsake the children of the camp for whom she had been caring with her considerable expertise as a medical student. She also maintained that were she to flee, the Gestapo would hound her entire family. Tragically, this angelic young lady, who celebrated her 21st birthday in a Nazi concentration camp, was ultimately dispatched to Auschwitz where she ended her days. Catastrophically, Marthe’s fiancé also lost his life in horrific circumstances. In 1943, he was tortured and executed for his involvement with the French Resistance. As a consequence of his untimely demise and her sister’s captivity, she resolved to do everything in her power to vanquish the Nazi nemesis. She qualified as a nurse and moved to Paris to live with one of her sisters. In August 1944, after the liberation of Paris, she applied for a position in the French army. However, the army sought proof that she was not a German collaborator. The mother of her deceased fiancé, now living with Marthe and her sister after the loss of her son and his brother, vouched for Marthe’s integrity. Since both her sons had been hailed as heroes and had died patriotic deaths, her recommendation was sufficient for the army to accept Marthe. At Alsace on the front lines, Marthe was initially assigned the role of “Social Worker”. The officer who interviewed her was unimpressed by the fact that she had not belonged to a resistance group though she tried to explain that a blond, slim, blue-eyed girl of less than five foot, would not have been taken seriously by any resistance faction. When he demanded why she had not attempted to kill Nazis on an individual vigilante basis, she responded that as a nurse, she instinctively recoiled at the prospect of killing even Nazis whom she vehemently loathed. When it transpired that she spoke German fluently, she was offered a position in the intelligence section of the army and underwent intensive training in this regard. Since all German men were relegated to the army, any man appearing in Germany in civilian clothing would have been arrested on suspicion of being a spy. It was therefore imperative that the spy be a female. Marthe’s alibi was that she was seeking her fiancé, a German prisoner of war captured by the allies. Indeed, the allies forced a genuine German prisoner of war to pen letters to Marthe in which he declared his affection for her. In reality, the two had never met but his letters lent a great degree of authenticity to her cover story and her forged ID card. Whilst in Germany as a nurse, the priceless nuggets of information gleaned by Marthe shortened the war as she revealed to the allies that northwest of Freiburg, the Siegfried Line had been evacuated and that the remnant of the German Army laid in ambush in the Black Forest. 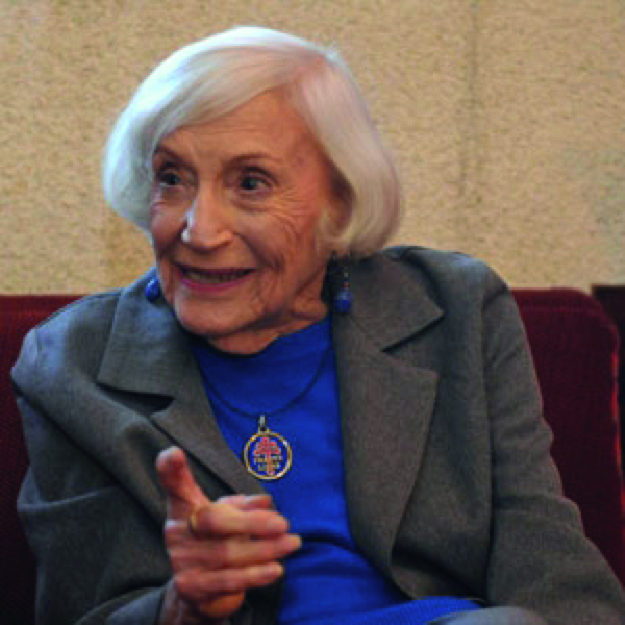 Her courage was recognised by the Simon Wiesenthal Centre’s epithet “Woman of Valour”.